As big fans of The Successful Bookkeeper podcast, we were very excited when our CEO and co-founder Alexis Prenn was asked to be a guest on the show – and even more so when the episode was released yesterday! Michael and Alexis discussed the importance of client experience, what increased productivity actually means for your firm, and adapting the language of reporting so that clients can understand the value added. "When you use products like Receipt Bank," says Michael, "you’re giving information much more quickly to your clients. What’s happening now is that bookkeepers can actually be leaders in helping business owners drive growth and business improvement. I think that’s pretty awesome." Alexis agrees and points out how important it is for that reporting to be as up-to-the-minute as possible. "As a small business owner," he asks, "why would you be interested in the data if it’s three, six, twelve months out of date?" A fair point! 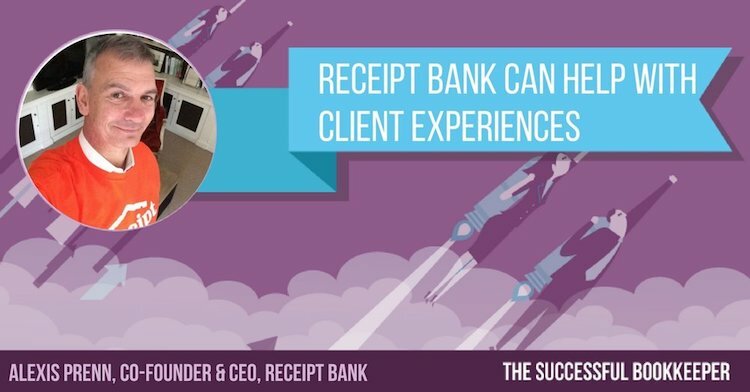 For more interesting perspectives of the role of the modern bookkeeper and some actionable steps toward higher quality client experience, listen to the whole episode here.